Happy New Year, Feliz Año Nuevo, & Feliz Ano Novo! 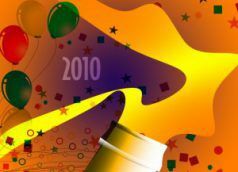 With only days remaining of 2009, if you are like most around the world, you are awaiting celebrating the New Year. 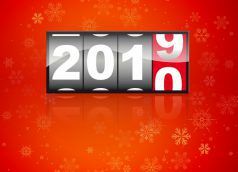 Perhaps this year you will celebrate in Times Square in NYC, Trafalgar Square or Picadilly Circus in London, wearing white on the beach of Copacabana in Rio, eating twelve grapes in the Puerta del. After much research and help from my travel friends….. Here are a few of the unique ways that others celebrate the New Year: Ireland-One Irish custom that is to take a large loaf of Christmas bread or cake outside the house and hammer it against the closed doors and windows. This is done to drive. With the air cooler and the first snowfall flirting at our windowsills, I took advantage of my Fall and Winter stay in New England to take my daily walk at one of the most famous attractions in Massachusetts, Walden Pond. 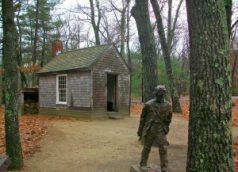 Located outside of Concord, Walden Pond, is a state reservation world renowned by the writings.